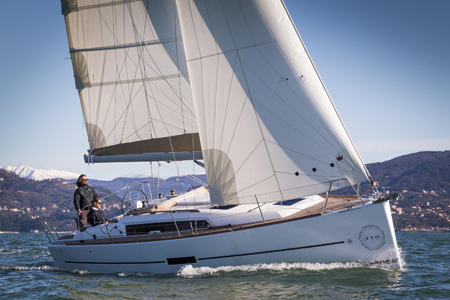 Network Yacht Brokers Plymouth Expect to Take Delivery of The First Dufour 310 Grand Large in the Coming Weeks! As the Southwest dealers for Dufour Yachts, Network Yacht Brokers Plymouth expect to take delivery of the first Dufour 310 Grand Large to hit UK soil. The 310 Grand Large was premiered at last years Paris Boat Show and has already had plenty of orders placed. 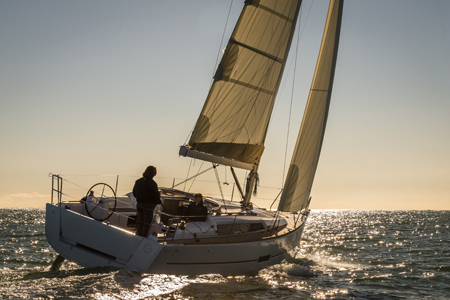 The 310 offers so much that sailing enthusiasts have been craving for from a 31 footer, she has twin rudders, steered by twin wheels in the cockpit and the option of a lift keel or standard fin keel. With this model Dufour have transferred what customers like on our big boats and placed them in this smaller sleek yacht without compromise. 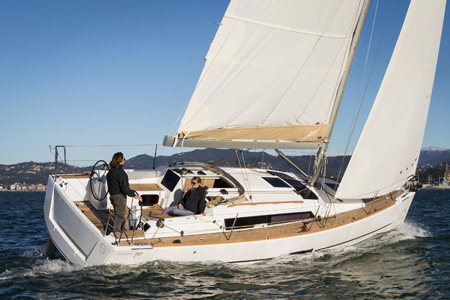 Network Yacht Brokers Plymouth will be holding an open day shortly after the delivery of the Dufour 310 Grand Large for Dufour owners and prospective purchasers to come and see this fantastic new model, watch this space as dates will be announced. This entry was posted in Events, News and tagged Dufour 310 Grand Large on June 10, 2014 by nybplymouth.